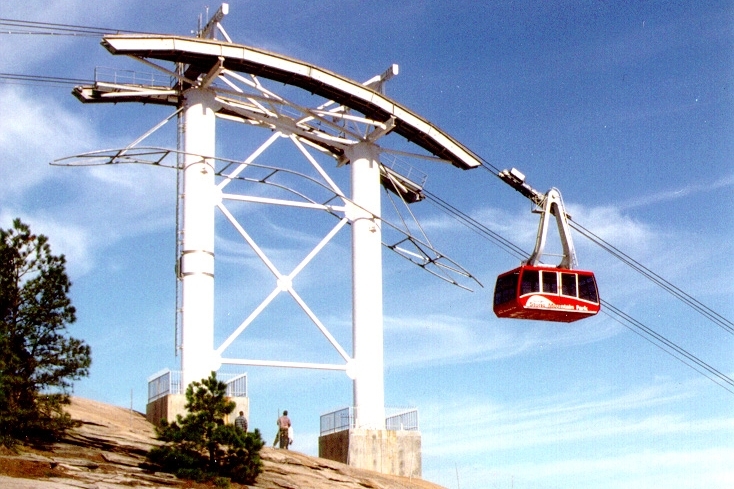 When Stone Mountain Park prepared to host three 1996 Summer Olympic events, park management realized they needed to replace the sky lift with a system that would have greater capacity to transport visitors to the top of the Stone Mountain, known for having the world’s largest exposed mass of granite and largest bas relief sculpture. 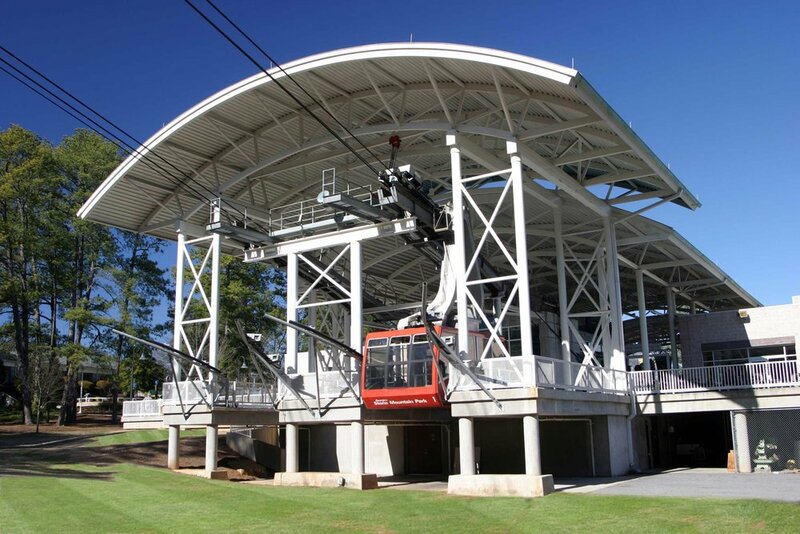 The Stone Mountain Memorial Association originally commissioned NBA to design a funicular railroad, but plans changed based on environmental impact studies, and they decided to build a new aerial tram that would be more sensitive to the mountain ecology. During the planning phase, NBA architects visited the manufacturing plants and met with engineers at two of the world’s top tram manufacturers, Von Roll in Switzerland and Poma in France.